EmunaDate: Working on Emuna and Bitachon - Part 1: Are They Synonymous? Working on Emuna and Bitachon - Part 1: Are They Synonymous? “Yes! Yes!” most of the people in the crowd yelled. At the same time, some naysayers began to mutter, “OK, fine, the guy's got talent but why risk his life twice? He's out of his mind,” they whispered to one another. The tightrope walker crossed the Grand Canyon. By the time he waltzed from one side to the other a third and fourth time, no one doubted he could do it. “Is there anyone here who doesn't believe in the Great Crescendo?” the artist asked. “No!” the people shouted and one enthusiast even ran over and punched his fist up into the air next to him. The artist then walked over to his car and pulled a bulky item out of the trunk. “Is there anyone here willing to climb into this wheel barrel and cross the Grand Canyon with the Great Crescendo? !” A silence stole over the crowd. Not a single man moved. The words emuna and bitachon translate as faith and trust in English, consecutively. However, since the nuances of language are often lost in translation, one might be led to wonder why G-d indulged in a redundancy. After all, when someone says he trusts you, you can assume he also has faith in you. And if you do ask him to clarify whether or not he has faith in you, after he has already confirmed that he trusts you, you run the risk of sounding obsessive. Why did G-d repeat Himself? Was it because He was so distracted, kiviyachul, with the stress of running a cosmos, that He forgot? Maybe He was covering his bases -- like a nervous mother trying to get her kids out of bed at 6:00 a.m. -- and worried that we weren't paying attention the first time around? Obviously not. While emuna and bitachon do have synonymous meanings in English, in the Holy Language (ancient Hebrew), they are the measuring tapes which help a person gauge how strong his spiritual connection with G-d is. 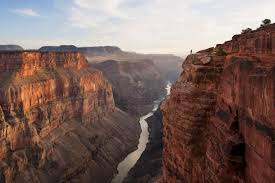 Eventually, the crowd had emuna, faith, that the tightrope artist could cross The Grand Canyon but they still didn't have bitachon, trust, that he could get one of them across as well. How do we, as individuals, learn to take that personal leap of faith in G-d?